When seven people are killed including 3 children, who is responsible? When a van carrying Hasidic students is attacked by automatic weapon fire, killing one and wounding several others, who is held accountable? It would seem according to some reports that the victims fell prey to the "lone terrorist" or "self-radicalized" individual. Is this an accurate description of what took place? Recent studies and statements by several government officials, including the director of the FBI and the secretary of Homeland Security, tell us that the greatest threat facing us post 9-11 is the individual terrorist. But in looking at two specific cases of Islamic terrorist attacks we may find that definition an over-simplified version of what actually took place. The first is the case of Mohamed Merah, the 23-year-old French / Algerian in Toulouse, France who shot three French paratroopers and four Jewish civilians, three of whom were young children. The profile coming out initially said he was self-radicalized because of the economic poverty he grew up in. A victim of high unemployment and discrimination against an immigrant minority caused the anger that fueled the fire in him. If that is true, where did the $26,000 found on him come from? Not to mention the cache of weapons and the expenditures necessary for him to travel to Afghanistan and Pakistan? Who provided the funds, the contacts, and the weapons? The second description said he "self-radicalized in prison." Is that possible? Is prison a place where you can be left to yourself to evolve into something? As someone who has worked in the criminal justice system for 26 years and a considerable amount of that time in the prison system, I can tell you emphatically that Merah's radicalization was much more than self-induced. 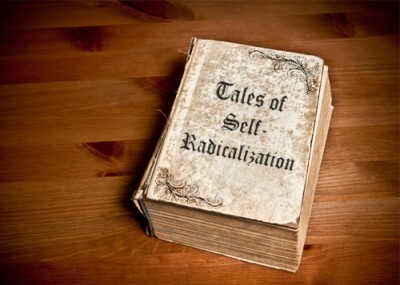 One does not become "self-radicalized" in prison. The constant interaction that occurs within a prison negates that. There is always a facilitator, an influence, or a catalyst. Be that literature, another cellmate, or a clergy. What was the integer in this case? French authorities had known for some time that mixing convicted Islamic terrorists with low-level criminals in the prison's general population contributed to radicalization. Who were his cellmates? Who visited him? What literature did he have access to? The second case is that of Rashid Baz, the Lebanese/Palestinian immigrant known as "the Brooklyn Bridge Shooter" responsible for the death of Hasidic student Ari Halberstam in 1994. The case was initially thought to be "road rage." It wasn't until 1999 when US Attorney Mary Jo White opened an investigation into the crime and found it was indeed a terrorist act that it was reclassified. Yet, despite the evidence, it was declared that Baz acted alone. The final report stated, "Baz acted on his own ... and there appear to be no unpunished co-conspirators." He was by definition a "lone wolf" terrorist. And since then he has been free to move about the general population of the prison influencing other inmates and even working as the chaplain's clerk in the prison mosque. Now, from his prison cell in Attica 18 years later, Baz admitted that he had intentionally targeted Jews on that fateful day in March. Why? Was no one else involved? Looking back at the evidence, the answer is disturbing. Two relatives helped him hide the weapons he used in their house. When the guns and ammunition were found, they said that they knew nothing of his involvement in the crime nor did they share his radical hatred for Jewish people. Phone records obtained by police show just the opposite. The family members were in contact with a member of an Islamic terrorist organization, Hamas. Hamas is sworn to the destruction of Israel by any means including killing Jewish civilians. In addition, at least two witnesses testified that, just prior to going on a rampage, Baz attended a service at the Islamic Society of Bay Ridge in Brooklyn. There, he heard a fiery sermon preached calling for revenge on Jews for an incident that had recently occurred in Hebron. That was Feb. 25, on the eve of the first anniversary of the World Trade Center bombing in 1993 by radical Islamic fundamentalists. One of the witnesses testified that Baz was enraged after the speech, determined to act. Was this the catalyst that sent him over the edge? To this day, neither the imam nor the mosque president has been held accountable for that. Why? Yelling "fire" in a crowded movie theater is not freedom of speech, nor is promoting a message, either spoken, written, or on the internet, that instructs someone to kill others in the name of God. A terrorist is not hatched overnight, nor are they produced solely in the dark vacuum of self. Even the National Counter Terrorism Center acknowledges this in its definition of radicalism. "Radicalism is a dynamic and multi-layered process involving several factors that interact with one another to influence an individual," it says. Instilling grievances, preaching and religious dogma all play a role. When we say that a person was self-taught or self-motivated, we look at them in a positive light. When used in recent descriptions of Islamic terrorists it has quite the opposite effect. It tends to triteness and absolves anyone else of complicity in the act. There is an overuse of the word, a diluting of the meaning, a deliberate misuse in an attempt to simplify the issue of radicalization. Those who contributed to the radicalization process must be held accountable. Patrick Dunleavy is the former Deputy Inspector General for New York State Department of Corrections and author of The Fertile Soil of Jihad. PMH Dayton, I appreciate your assessment of the Boston Bomber Brothers. Why the main stream media continues to use this terminology in an attempt to explain a terrorist's action is beyond me. It not only confuses the American public but it alleviates responsibility to those individuals who in some way, either by word or deed, assisted the Tsarnaev brothers down the road to becoming radical Islamic jihadists. They were not "self-radicalized". Radicalization is a process that involves internal as well as external factors. Thank you for this reasoned explanation. As CBS started to call the notorious bombing brothers "self-radicalized", I was astounded. Lone wolf terrorists, an example that could be the Newtown shooter(who certainly did cause terror), was not "self-radicalized" he was insane from inadequate treatment, liberal, lack of judgement parenting and feeding on Hollywood produced violent media. But calling two Chechen brothers, one of whom traveled to his homeland, under the radar for a magic six months, after attending a mosque and hearing who-knows-what messages from an imam,was ABSOLUTELY NOT self-radicalized. He was radicalized by people involved in jihad.We now know the mother was told what she should or should not do to run her business by an imam. If the mother's life was so influenced, what happened to her sons? Self-radicalization is a made-up liberal word to protect the network of educating and promulgating Islamic terrorists. I want it removed from the lexicon. It is a misnomer, as you have succinctly and correctly explained. Thank you for being a voice of reason. Excellent essay; well thought out and explained.